Remember the American idea of popular music is totally different from the Continental. [In America] we take a popular song as the starting point and interpolate it to suit our own ideas. The music lover now noticed a second bird in the shadowy corner of the cage: scrawny, with disheveled feathers and in sore need of a bath. This small wreck of a bird stood uncertainly, swaying now and then, occasionally blinking a bloodshot eye, sometimes sipping from a container of amber liquid. White jazz of the twenties was far from monolithic, though sometimes a little confused by its own vague notions of just what jazz was and by its chronic failure to distinguish between the real thing and novelty effect. A new song might receive dozens of different recordings during the twenties, with record companies scrambling musicians to ensure that their label offered the latest hit to customers rifling through record shelves. Companies just sought a profit while musicians just needed a paycheck and consumers just wanted a catchy melody and/or danceable beat. So goes the common wisdom about this era in American music. A hit from 1924 indicates that at least a few people in that iron triangle wanted more. Cantor is backed by a jazzy small group (mostly sticking to the printed sheet music) but his performance is all about the silly lyrics. Jasen also notes that “Doodle Doo Doo” became a dance hit for Ray Miller and Jack Linx, whose recordings (for Brunswick and Okeh, respectively) were cut within weeks of Cantor’s Columbia side. Perhaps they were given a boost by Cantor’s vocal rendition, or the record-buying public had enough of Kassel’s lyrics. No one was playing saxophone and trombone like Trumbauer and Mole. Miller was both business savvy and musically minded: he provides a smooth, medium-tempo beat for dancers that also allows listeners to savor his soloists’ elegant work. Roy Johnston’s trumpet on the verse may be dismissed as “dated,” but next to such polished company its clip and growl adds variety as well as humor. Whatever else they made of it, people heard a territory band jamming on a pop song to its own country beat, without any attempts by banjoist/singer Maurice Sigler at drawling “Ah lahk the rest, but what ah lahk best….” The record’s popularity evidences the wide open possibilities for both sales and music at this point in American popular music. Ray Kitchingham’s banjo keeps things strutting before Bill Moore’s trumpet buzzes in and sparks things with a spare paraphrase over Stan King’s cymbal cuts. A chase between Bobby Davis’s alto and Rollini’s bass saxophones on the verse is followed by bass clarinet decorating the chorus. The Varsity Eight builds up from its leader’s bass saxophone in the rhythm section while the Georgians let leader Frank Guarente’s trumpet drive things from the top. Following sustained chords in the intro, he leads a jittery New York-style collective improvisation, followed by a very a la mode sax section with Arthur Schutt’s piano tickling around it. The verse is then used like a riff, building up steam before the succeeding chorus reconfigures Stitzel’s syncopations on the upbeat. Guarente then returns with some King Oliver-inspired muted trumpet. Bernie offers plenty of instrumental shtick with some purely musical rewards, such as the opening “doo-wacka-doo” trumpets that work well as a busy counterpoint behind the saxes on the first chorus. The same texture is then inverted, with the trumpeter (Don Bryan?) now playing a “doo-wacka-doo”inspired solo with busy saxes behind it for a smirking, symmetrical and very smart effect. Bob Effros’s trumpet is powerful but unflashy. The band works up a sturdy, straightforward groove. Aside from the intriguing clarinet/banjo duet and trombonist Dave Boyd, there is very little improvisation or clever orchestral variation. The band’s sound is enough: hot in its rhythms, warm in its textures, always confident and tight without seeming uptight. It may sound naive, but sometimes just the combination of several different instruments played by ten individuals yields exciting and very distinct results. Proud and peppy, “le plus ultra of society dance music” interpolates a lush, violin-like saxophone variation into its chart, a dicty touch arranged for a jazz horn. Jasen mentions that their Victor recording (waxed in April) was another big seller. The music business of the twenties apparently had enough room to accommodate many different musical styles. The outdated, profit-driven system that allowed allowed Eddie Cantor and Jack Linx to share sales might inform modern hindsight. It’s tempting to hear the Benson recording as the buttoned-up, commercial version of a mediocre song, outshined by what jazzier groups such as the Georgians had to say with the tune, which is in turn eclipsed by that group’s recordings of jazz instrumentals such as “Farewell Blues” before that’s all rendered obsolete by the music found in jazz history syllabi and Smithsonian boxed sets. It’s worth reconsidering the Benson band in the same light that Jazz Age consumers encountered it, as one of many groups, all working on the same tune within months or even weeks of one another, huddled in studios that may have been only a few blocks apart, making sense of the newest musical trend while splicing the sound audiences expected with the sounds they had to offer those listeners. The musicians and recordings begin to express different musical priorities rather than advances or missteps, options rather than right or wrong answers. Some alternatives are more influential or musically sophisticated than others, some more likely to be grabbed off the shelf by twenty-first century ears, yet each one remains valid on its own terms. Onivas recorded “Doodle Doo Doo” for Perfect in May, opting to put some grit into its polished surfaces via Hymie Farberman’s growling trumpet “taking a Boston,” getting the band in on the jazz act on its own terms. 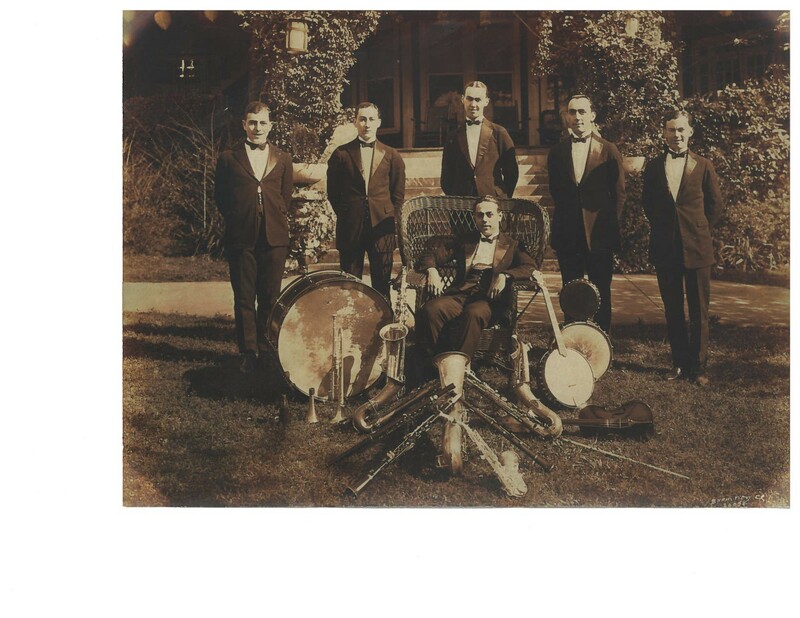 What might have been a gimmick in 1924 musical gimmick can now be heard (enjoyed!) as the meeting of stylistic eras and musical ideas. It’s not Louis Armstrong trumpet, yet that doesn’t take anything away from the music. It’s worth mentioning that recording industry politics and the racial environment surrounding them prevented Armstrong, his then-employer Fletcher Henderson, his (and Frank Guarente’s) teacher King Oliver, Ma Rainey, Doc Cook or any other Black musician from recording “Doodle Doo Doo” until well after World War II. That may seem like a dispensation, yet as working musicians those band probably would have appreciated a stab at such a popular song. More importantly, their absence closes off further musical possibilities from those musicians and this tune. 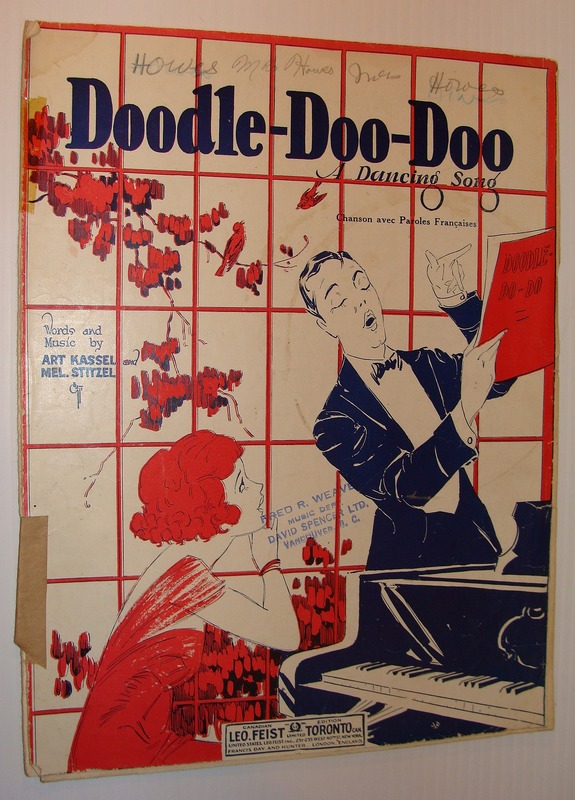 Years after its publication, Kassel would make “Doodle Doo Doo” his big band’s theme song, allowing younger generations to hear it throughout the thirties and forties. It was reincarnated as a campfire song and at least two more risque ones, also making a brief appearance in Elvis Presley’s 1969 film THE TROUBLE WITH GIRLS. Even Broadway singer Mandy Patinkin saw fit to include it on one of his albums. Jazz blogger Michael Steinman recalls trombonist Vic Dickenson using “Doodle Doo Doo” as a key-changing exercise at gigs in the mid-seventies, modulating up one step with each chorus. It hasn’t had much luck at jam sessions since, but who knows what the future may bring? It may or may not be a “good song” but it is a song, and that is all a musician needs. I appreciate the blanket cover-age (especially in the snow zone). Thanks again for your transcription/translation! 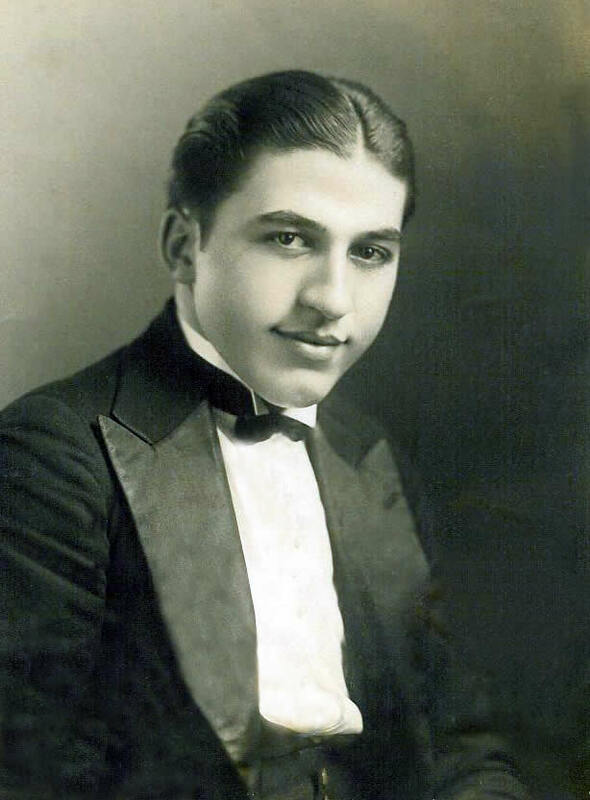 The hot trumpet solo work on D. Savino/Onivas’s recoridng of “Doodle Doo Doo” is actually from Jules Levy Jr., who died on June 18 of 1924 of pleurisy. Nathan Glantz’s sappy alto sax leads the reed section on Savino/Onivas’s recording of that tune, alongside John Cali’s romping rollicking banjo & Eph Hannaford’s trombone. Hello, again! Levy, Glantz, Hannaford and Levy appear on so many early jazz and hot dance records and, while there is some biographical information about them, there seems to be little discussion about their sound as musicians, so thanks for the identifications. Glantz seemed to have been more of a leader and section player, but I like his solo on “Sweet Georgia Brown” with the Texas Ten, in which he seems to play a “trumpet-style” alto sax! However, Glantz recorded “Sweet Georgia Brown” for Edison (as the Tennessee Happy Boys) & the Emerson-Grey Gull group. ADBORAF’s discography’s identification of Glantz on this side, and associated “Glantz” with the alto sax style heard on “Sweet Georgia Brown” with the Texas Ten, but your extensive listening indicates Glantz had a “sappy” tone. Whoever the alto on that side was, they put down a fine solo. As for Glantz, I look forward to reading your discography but, in the meantime, can you suggest any sides to hear Glantz’s actual sound? Thanks for continuing to educate me. -“Sweet Georgia Brown” for the Grey Gull-Emerson group cut in New York on July of 1925 (https://archive.org/download/78_sweet-georgia-brown_nathan-glantz-dance-orchestra-bernie-pinkard-casey_gbia0004080a/Sweet%20Georgia%20Brown%20-%20Nathan%20Glantz%20Dance%20Orchestra.mp3 / https://archive.org/details/78_sweet-georgia-brown_nathan-glantz-dance-orchestra-bernie-pinkard-casey_gbia0004080a) & Edison on June 11 of 1925 (https://archive.org/download/TennesseeHappyBoys/TennesseeHappyBoys-SweetGeorgiaBrown.mp3), the latter as the Tennessee Happy Boys (identity of the band confirmed by the Edison Cash Books (https://wfmu.org/playlists/shows/24462). I have a personnelography of Nathan Glantz’s recordings under that name & also another one by Glantz’s sides as the Merry Sparklers which I’ll post some day). He’s featured in good company alongside Earl Oliver’s growling trumpet & also takes the clarinet on the Edison version. He also appeared on a lot of acoustical Dave Kaplan sides for Edison (I have a personnelography of Kaplan’s Edison Dance Band sides that I’m planning to post in the future if time allows, of course).